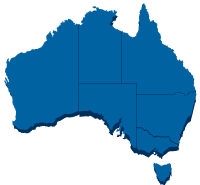 The majority of colonoscopies done in regional and rural Australia are performed by General Surgeons, and many colonoscopies across Australia are performed by Colorectal and General Surgeons. The Federal Government is at present looking into the accreditation of facilities where colonoscopies are performed. The Department of Health and Aging has recently bestowed upon the Gastroenterological Society of Australia (GESA) a large grant to set up a recertification program for colonoscopists, which is likely to include an online audit of all or part of one's practice. It is possible that the accreditation of day surgeries might one day require individual proceduralists to become recertified into the procedure. GSA was interested to learn the attitudes of our members towards colonoscopy recertification. A survey of the membership was undertaken in late February 2016. Two hundred and twelve (212) responses were obtained, which represents 31% of our active membership. This is a reasonable response rate for an online survey that was only open for one week. The breakdown of specialty interests is demonstrated in Figure 1. Figure 1: How would you best describe your surgical practice? Just over half of respondents to the survey worked in Metropolitan areas, one third in regional centres, and the remainder had a rural/provincial practice (Figure 2). Figure 2: How would you best describe your surgical practice base? The was a very even spread of experience amongst respondents; less than 10 years (39.2%), 10-25 years (30.7%), and more than 25 years (30.2%). Just under half of all respondents indicated that they perform more than 200 colonoscopies per year; 18% did not perform any colonoscopy (Figure 3). It was clear from the survey data that as an increasing interest in Colorectal sub-specialisation was expressed, respondents were more likely to do more than 200 colonoscopies per year. The biggest group performing less than 50 colonoscopies per year were surgeons who indicated a sub-specialist interest outside of Colorectal Surgery, and were less than 10 years post-Fellowship. Figure 3: What volume of colonscopies would you perform per year? Different specialty groups expressed very similar opinions on volume outcome relationships (Figure 4), and on the markers of colonoscopy quality, with Caecal intubation rate and Complication rate selected most frequently. Respondents performing low numbers of colonoscopy were less convinced of a volume outcome relationship. The only notable difference between specialty groups was that Colorectal-only surgeons were more in favour of mandatory recertification than other groups (62.5% in favour versus 30% in favour for the other groups combined). For those respondents in favour of recertification, there was overwhelming support for five yearly recertification, as opposed to more frequent intervals. Most members felt that prospective audit was the preferred way of judging competence. Figure 4: Do you believe that there is a relationship between volume and outcomes in terms of colonoscopy quality? To view the full results of the survey, please click here.